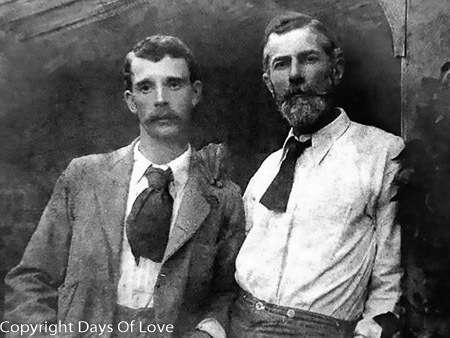 George Merrill (1866 – 10 January 1928) was the lifelong partner of English poet and LGBT activist Edward Carpenter. Merrill, a working-class young man who had been raised in the slums of Sheffield, had no formal education. 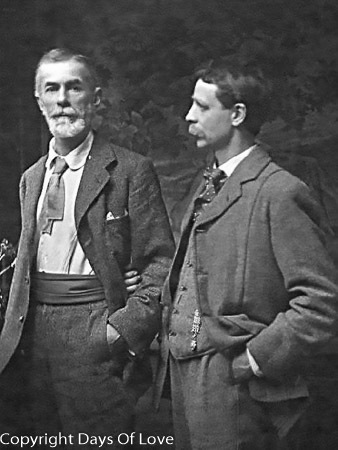 He met Edward Carpenter on a train in 1891, and moved into Carpenter's home at Millthorpe outside Sheffield in 1898. His arrival was commemorated by Carpenter in the poem Hafiz to the Cupbearer. The two lived openly as a couple for thirty years, until Merrill died. Carpenter died the following year and was buried beside Merrill. The relationship between Carpenter and Merrill formed the motivation for E. M. Forster's novel Maurice, and the character of the gamekeeper Alec Scudder was in part modeled after George Merrill.